There's moving, and then, there's MOVING! I took the plunge, packed up, and headed to the place where I grew up to put down new roots. It was a bold and brave move, and now that I'm finally feeling a bit more settled in, I'm embracing this change and all the challenges it has offered. Moving my home created unique physical and psychological adaptations, some I was prepared for (like the weather, duh!) and others took me by surprise (I really don't remember how to get around the city - it's been a while!). No longer able to just open the door and get a lot of my movement in by taking strides backdropped by sun and warmth, I now had to meticulously plan ALL the layers to face the cold, rain, snow, and yes, wind (this is the "windy city" after all). But even my modest selection of boots, scarves, gloves and long coats didn't prepare me for the clouds. The grey. The day-after-day of sunless skies. That was a true brain-bust to my outdoor movement activities. So, I learned to accompany my walks with talks; in person with a walking buddy, on the phone with a friend, or listening to a favorite podcast (you know - the ones where you feel like you're listening to a good friend ;). 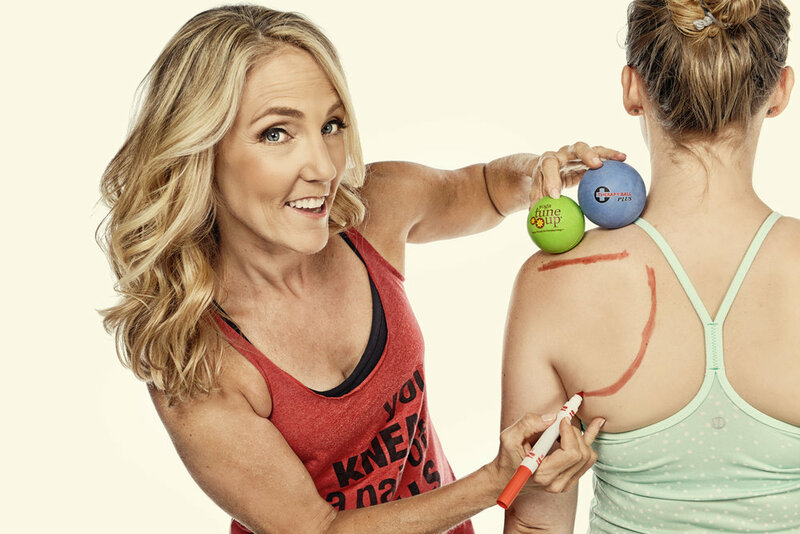 And then there was the part about not having a couple "home clubs" or "fave fitness studios" where I taught and made lasting connections and treated my body to a variety of movement explorations. Believe me, getting creative in your condo, by yourself, day after day, can make you a little cray-cray. Branching out to teach at new places and meet new faces has been a glorious way to reconnect with my first love, group fitness. It also means I don't have as many daily solo conversations (or at least not as often). My point is, MOVEMENT has been the driving force of my transition from one habitat to the other. Yes, there was the move and the boxes and the organizing and the winter clothes, and the learning to drive new routes and the pure shock and stress of the WHOLE move, but it was movING that got me through it. It was through movement that I adjusted. Movement motivated me to get out of the gloom and make new connections. It prompted me to get out of being solo and get into new places. And it facilitated a grounded feeling that I wasn't anticipating - it lead me back to what truly motivates me, sharing my passion of moving with others. I am SO excited to have just joined the Group Fitness staff at the Park Ridge Centennial Center! I'm also thrilled that I have been able to join the Highland Park Equinox GFI team as well! AND... the trails behind my condo are glorious - no matter the elements! Plus, it helps that it's 65 degrees and sunny today :) I'm on the MOVE, and, I'm all moved in! Capping off November with gratitude for having a body that is vital enough to plank and for friends that challenge me to use my body fortitude in fun and innovative ways. A big shout out of thanks to my movement motivational buddy Alexandra Ellis - check out her awesome sauce website here - for boosting my body tenacity these last few days! These are just a few images of the planking I did throughout Thanksgiving week. Challenging my stability and strength in creative forms was a great reminder to set the "move different ways" bar high, no matter what time of the year it may be. I hope sharing this fun friendship gifted challenge motivates you to keep on moving outside, inside and from all sides! The last few days I have been moving, a lot. Not in the traditional sense of the word, but in ways that go beyond my own physical maneuvering. 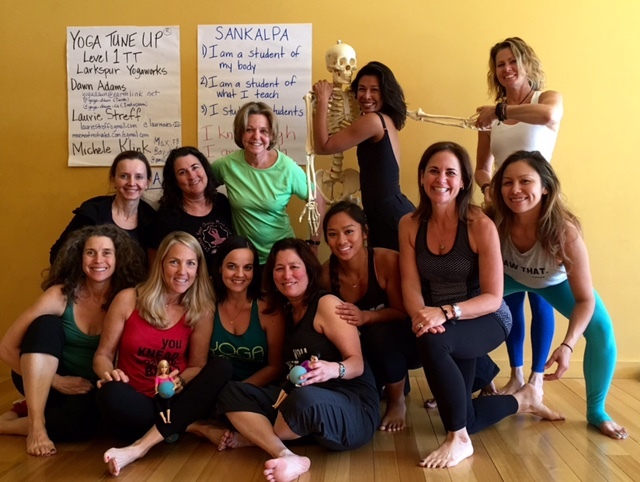 I am currently assisting my mentor, Jill Miller, through a week of Yoga Tune Up® Level 1 Teacher Training at Yogaworks in Tarzana, CA. During this process of being a YTU assistant I have been continuously amazed at how genuinely moving this experience is. Yoga Tune Up® offers tools to understand how you are moving in your body, what is making it move, which areas you are uncovering and discovering so that you may move better, and why you move the way you do (or don't). Level 1 trainees become acutely aware of their unique movement patterns, habits and nuances. Of course it makes perfect sense for a movement professional to immerse herself into movement learning, but during this intensive training many more parts of the body get moved as well... and when those other parts are stirred, the ones we aren't prepared for, that's when unqualified authentic learning happens. As a YTU trainee in 2013, it was an utter brain-blasting experience for me to be given opportunities to feel my way in, out and through movement practices. I was given an incredibly safe playground to learn anatomical mapping, movement directions, and corrective exercise techniques so that I could feel better in my body. The voice in my head that for years said things like, "This pose just doesn't feel quite right" or "Nope, I don't want to take it to my edge, it hurts" or - and this was the toughest one to reckon with - "I have places in my body that don't feel good when they move any longer" was finally heard and getting the answers it was seeking. I was literally climbing my way out of confusion and pain, and I was doing it by MOVING my body through heightened awareness. Diving deeply into this kind of personal locomotion awareness cannot be done with muscles and bones alone, it takes a brilliant somatic teacher to lead her students to and through a brand new appreciation of body consciousness. This time around I am an assistant to the amazing teacher, Jill, and I have been completely MOVED from the outside in - again, even more deeply as an assistant to the work and its students, than as a trainee. To me, that is the best kind of movement, when it penetrates all layers of learning. Ahh, it’s summer time, and during the warmer months of the year we tend to go barefoot more often. That’s good news for the bones, muscles and tendons in our feet because, being shoeless, they’ll get the chance to spread and feel the ground beneath them! In my last blog post I wrote about the flexor digitorum longus (FDL) and how it plays a major role in the gripping action of the toes. A thin muscle that begins at the tibia, it thickens as it extends down the length of the calf. The FDL then passes through the ankle and reaches the sole of the foot where it splits into four tendons, each connecting to one of the 2nd through 5th toes. If your toes have been constricted in tight fitting shoes, the muscles and tendons that support them need flexibility and strengthening exercises to awaken them so they are ready for barefoot walking. Likewise, it’s important to invest dedicated time in spreading the metatarsals of the feet as they are often also compressed in cramped toe boxes of shoes. 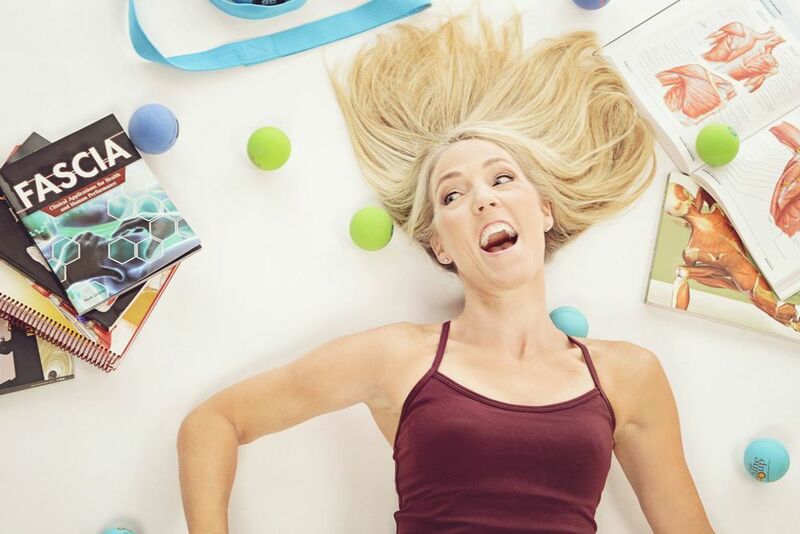 In preparation for putting your best barefoot forward, roll Yoga Tune Up® therapy balls on the bottom of the feet to revive the FDL and activate the other muscles surrounding it. Using a back-and-forth stripping action, roll the balls from the heel to the ball of the foot. This encourages widening of the metatarsals and much needed increase in blood flow to the plantar fascia area, which runs along the underside the FDL. Now primed for movement, practice the Yoga Tune Up® Toe Separation Exercise that Jill Miller demonstrates here to articulate the bones and joints in your metatarsals and phalanges. These are also terrific techniques for flip-flop feet as the gripping muscles of all five toes will be especially happy with this restorative attention! Want to get a grip? Then grab a pair of the most popular kind of minimalist shoes, flip-flops, and put them on your feet. Now walk, and feel the flexors of your ankles and toes grip, literally. Meet your flexor digitorum longus. Entombed deep to the gastrocnemius and soleus in the lower leg, the flexor digitorum longus flexes the second through fifth toes, inverts the foot, and aids in plantar flexion of the ankle. Originating in the middle of the posterior surface of the tibia and traveling down the leg inserting in the distal phalanges of the second through fifth toes, the flexor digitorum longus (FDL) is one of three ankle and toes flexors. Along with the tibialis posterior and the flexor halluces longus (FHL), the other foot flexors, this narrow muscle is a primary player in tiptoeing, navigating rocky trails and picking up small objects off the floor with the toes. When wearing loose fitting flip type shoes that do not connect to your foot, the FDL has to work extra hard, along with the FHL, to hold the shoe in place so you don’t flop, I mean fall. The gripping of the FDL can result in a change in normal dorsiflexion during the swing phase of the gait cycle. The over-emphasized flexing action on the bottom of the foot can have detrimental effects on the gait cycle of the sandal wearer. It can lead to pain in the heel, in the metatarsophalangeal and interphalangeal joints, in the plantar fascia, and may also cause discomfort up the anterior and lateral side of the lower leg, reaching all the way up through the IT band. Mainly, as we are focusing on the flexor digitorum longus, this slim muscle has to do a heck of a lot of overtime when the action of toe flexion is called upon so intensely. Though the warmer months are rapidly approaching, switch out the flip-flops for footwear that connects to your feet and save your flexor digitorum longus for hiking in the woods, walking barefoot in the rain, and for some of your favorite standing balanced yoga poses like Half Moon and Tree Pose. Get a real grip and ditch the flips!